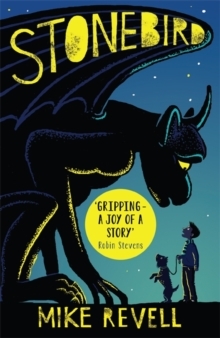 'Gripping - a joy of a story' Robin StevensShortlisted for the Shrewsbury Book Award and the Warwickshire Book AwardWhen ten-year-old Liam moves house to be closer to his dementia-suffering grandma, he's thrown into an unfamiliar place with a family that seems to be falling apart. Liam doesn't remember what his grandma was like before she became ill. He only knows the witch-like old woman who snaps and snarls and eats her birthday cards. He wants to fix it, but he can't. 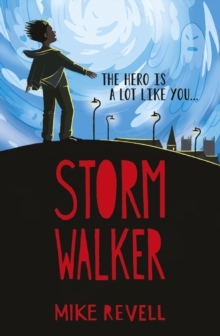 Walking his dog one day, Liam discovers an old stone gargoyle in a rundown church, and his life changes in impossible ways. The gargoyle is alive. It moves unseen in the night, acting out Liam's stories. And stories can be dangerous things... Seeking revenge against the bullies at his new school, Liam tells a story about the gargoyle attacking them. When one of them ends up in hospital, a regretful Liam vows never to go near the gargoyle again. What if the gargoyle is the only thing that can save Liam's family?